One of my goals this week was to find new ways of incorporating familiar nuts into a variety of breads. When it came to the macadamia nut, I could think of one flavor combination that is so common as to be ubiquitous, and almost boring: macadamia and white chocolate. Not that there’s anything wrong with it, exactly; it’s just that I’ve seen one too many institutionally-baked cookies with that flavor combination. Blah. But luckily, there’s something a little less expected out there, something that happens to go beautifully with the buttery flavor of a macadamia. Yes, it’s that wonder of the culinary world, that saviour when all other seasoning fails, the humble lemon. Lemon and macadamia are two of the best friends that you may never have met – as I for one don’t often see them paired alone (unless I missed something, but usually there’s coconut or some other tropical fruit sticking its big nose in there) – but they’re just delightful together. Scouring my cookbooks, I luckily happened upon a recipe that combined these two chosen flavors in what looked to be a soft and lightly sweet bread, enriched with egg, milk, and yogurt. Perfect! The tanginess of the yogurt would complement the lemon, while the milk and egg would highlight the richness of the macadamia. And after a few adjustments, I had what looked like a real winner. The bread baked into a rather convincing version of brioche, if not quite so flaky; this was a bit surprising, considering how little egg and milk were used. The crust took on a gorgeous mahogany color, and lent a slight hint of caramel to the flavor. The crumb was close, but airy, and the bread sliced beautifully. To my palate, it tasted a tiny bit too dry to eat plain, but was just right when toasted and topped with a pat of butter. I have plans to use it for some (hopefully) ridiculously good French toast tomorrow morning! The overall flavor of lemon and macadamia was beautifully in balance, neither overwhelming or overpowering the other. Speaking purely about the flavor of the bread itself, I might have put in more lemon, except that would have dominated too much, and rendered the loaf less versatile for use in other applications (such as French toast). It was generally agreed that it would be best to add any extra lemon flavor through use of additional condiments or flavorings, such as by topping a slice with lemon curd, or garnishing French toast with lemon-maple syrup or lemony whipped cream. Overall, this bread was just lovely. 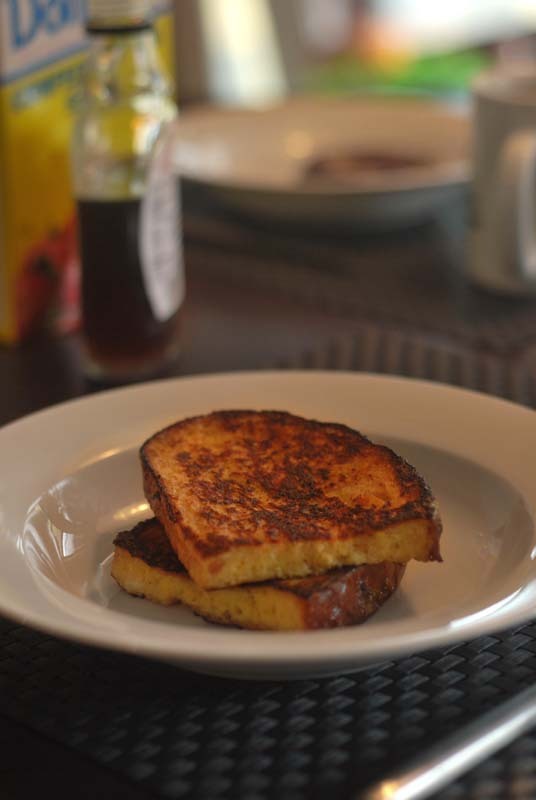 It had the softness and slight sweetness of a traditional brioche, but without quite as much richness. I can just see an afternoon cup of tea, or a breakfast Earl Grey, accompanied by a few slices of this bread, some butter, and lavender honey. Light, lemony, buttery, and floral, how could you go wrong? Edit: The French toast was amazing! Try it, try it, try it! 1. In a liquid measuring cup, whisk together the milk, yogurt, and egg. If necessary, add enough water to measure up to 1 1/4 total liquid. Add the honey and stir to combine. Set aside. 2. In the bowl of a stand mixer, whisk together the flour, yeast, and salt. Add the milk mixture, and mix at low speed with the dough hook until the dough comes together, scraping the bowl if necessary. Increase the speed to medium-low and knead until smooth and elastic, about 6 to 8 minutes. You may need to add a spoonful or so of additional flour to achieve the proper consistency. The dough should be a little slack, but not wet, and should clear the sides of the bowl. 3. Turn the dough out onto a lightly floured surface. Knead a few times, until a skin forms around the outside of the dough. Pull the skin taught around the dough, forming a round ball. Transfer the dough to a lightly oiled bowl, turning to coat all sides with the oil. Cover tightly with plastic wrap, and let rise in a warm place until doubled in size, about 1 hour. Or, you can refrigerate the covered dough for 8 hours or overnight (see note 3 below). Let come to room temperature for at least 45 minutes before proceeding. 4. Turn the dough out onto a lightly floured surface. Press and roll the dough out flat, about 12 to 15 inches across, or as big as the dough will allow. If the dough starts to resist, cover with plastic wrap and let rest for 10 minutes befor trying again. Sprinkle the dough evenly with the macadamias and lemon zest. 5. Fold the edges of the dough over the nuts and zest, so that they meet in the middle. Press to seal. Knead until the nuts and zest are evenly incorporated throughout the dough, sprinkling with additional flour as needed to keep from sticking (see note 4 below). Form the dough into a round loaf, and transfer to a greased or parchment-lined baking sheet. Cover loosely with lightly-oiled plastic wrap, and let rest in a warm place until doubled in size, about 1 hour. 6. Preheat the oven to 400º F. Bake for 30 minutes, or until well browned and baked through. An instant-read thermometer should register about 190º F to 200º F when inserted into the center. Transfer to a rack to cool thoroughly before slicing. If you like a shiny crust, rub the crust with a little butter while still warm. 1. To toast macadamia nuts, chop before placing in a single layer on a sheet pan. 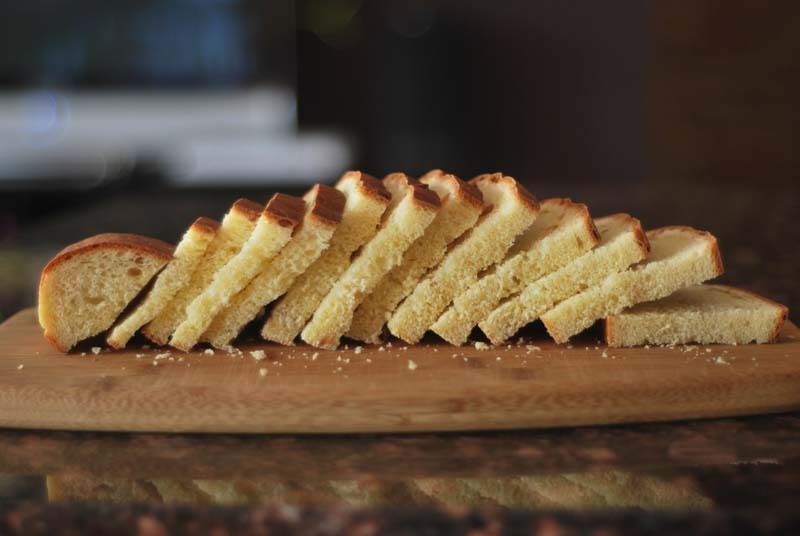 Bake at 350º F for 10 to 15 minutes, until golden and fragrant, stirring every 5 minutes to ensure even toasting. 2. For best results, all your ingredients should come to room temperature for at least 30 minutes before using. If you don’t think of it, you can microwave the milk and yogurt together for thirty seconds or so, just enough to take the chill off (but no hotter than 115º F). 3. If you plan to refrigerate the dough overnight, you will achieve the best result by under-kneading the dough slightly (for 5 to 6 minutes). The gluten will continue to strengthen overnight, and may over-develop if the dough is kneaded fully. By under-kneading, you will help ensure the fluffiest texture in the finished bread. 4. When kneading in the macadamias and lemon zest, use only enough flour to keep the dough from sticking to your hands and the counter. The dough will be very sticky, but resist the temptation to over-flour, which will only lead to a tougher and less-moist bread. You may elect to use a bench scraper to help with this kneading step.